Fireflies is based on my childhood memories. One night, I remembered a glimpse of a memory. It was a visual which was dark, shiny, colourful and unclear, about watching fireflies in front of our old house. I became interested in that & I thought of going closer to the memory. The question was how. The same night I read a poem about fireflies written by ‘Robert Frost’. It was so small & beautifully written that I was moved by it. It gave me an idea about how night gives a different life to the characters, what do they represent & how personal they can be to someone. Anupam Diwan is a photographer based in Pune, India. His works are based on people, past, memories, feelings and nature. He first started practicing photography in Mumbai and for two years he worked as a freelance photographer. His work Fireflies has been featured on Invisible Photographer Asia and Fisheye Magazine. 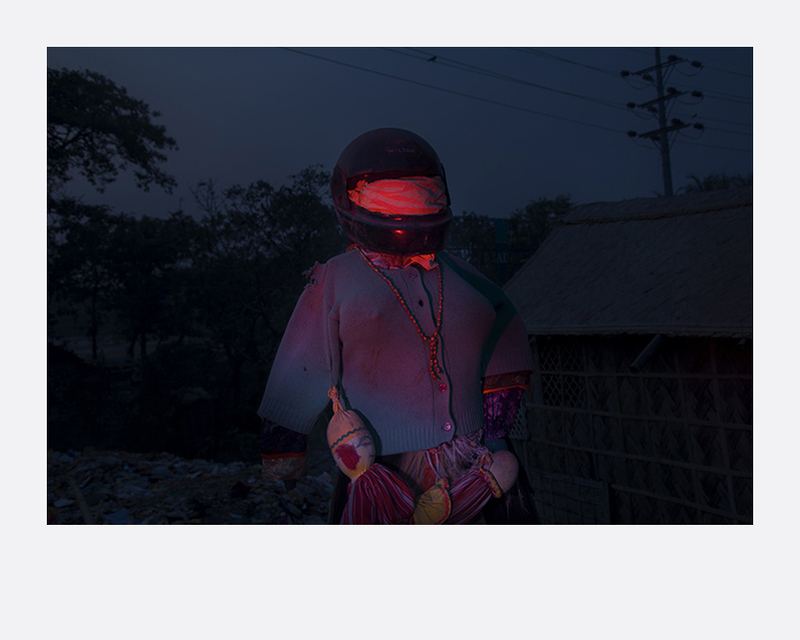 In 2017 he was shortlisted for Lucie Foundation’s Emerging Photographer Scholarship for his work Laxmi & Gargi. Diwan is a practicing documentary photographer and is working on projects based in Nepal and India.